Both community and schools will love this extraordinary live theatre experience! Tractor Dan, Fiona and Ralph and The Amazing Adventures of Emily. Performances are one hour long. 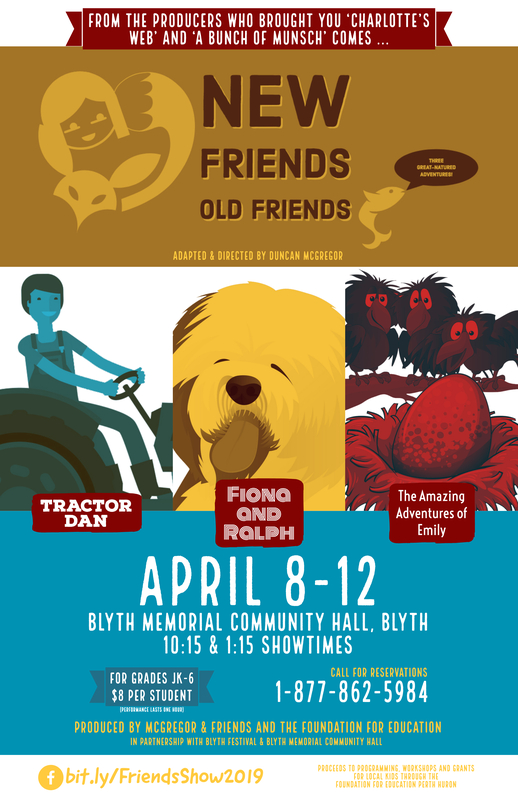 The company (McGregor & Friends) brought you ‘Charlotte’s Web’ and ‘A Bunch of Munsch’ in the past and is made up of nine actors (including young people from local schools and adult performers) all supported by professional designers and directors. Don’t miss this wonderful experience!